A great film by Petzl on proper ice screw placement technique, as well as how to set an anchor and a v-thread. 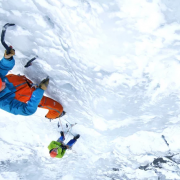 Ice climbing basics: Ice screw placement, anchors and V-threads [EN] from Petzl-sport on Vimeo.This film demonstrates proper ice screw placement technique, as well as how to set an anchor and a v-thread in waterfall ice. 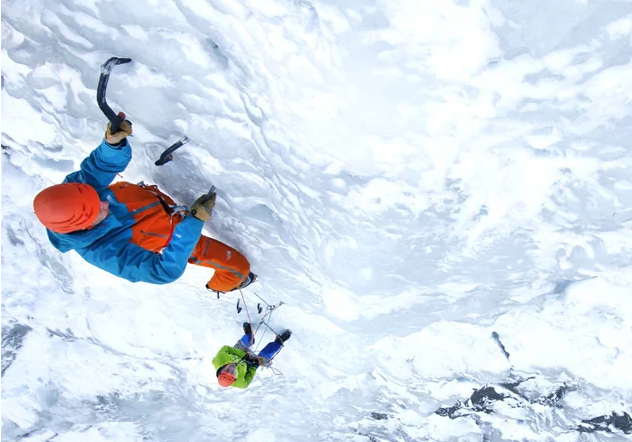 We will discuss the key technical elements, but remember that when swinging your tools into the ice, it is crucial to understand the medium on which you are climbing. The quality of the ice, its structure, the terrain above, recent changes in temperature – all these factors and others must be considered before you step off the ground and onto the ice. SHARPENING PETZL PICKS Get Out and Get Some!